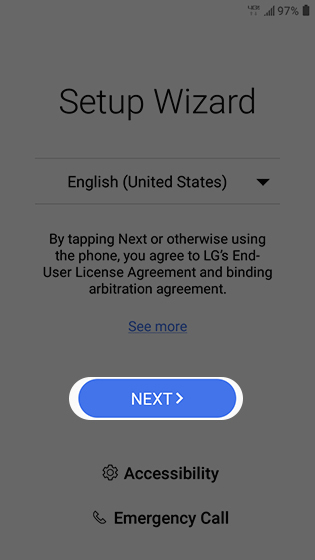 If powered off, press and hold the Power button (located on the back) until the LG logo appears then release. 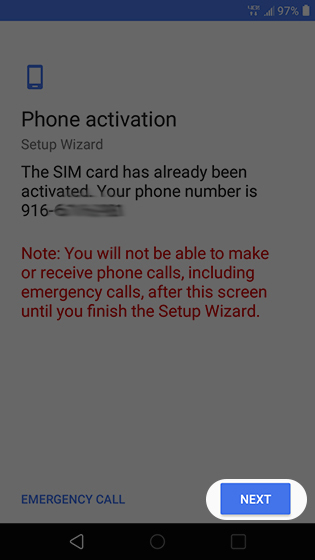 If activating a new phone, ensure the old phone is powered off. 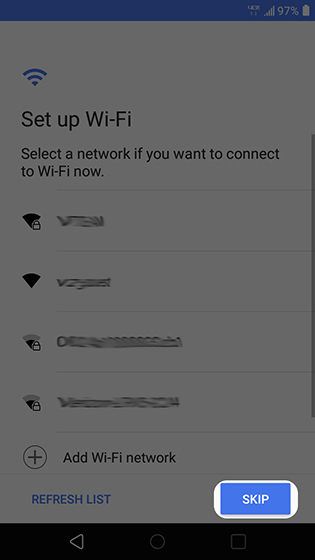 From the 'Set up Wi-Fi' screen, select a network or tap Skip. 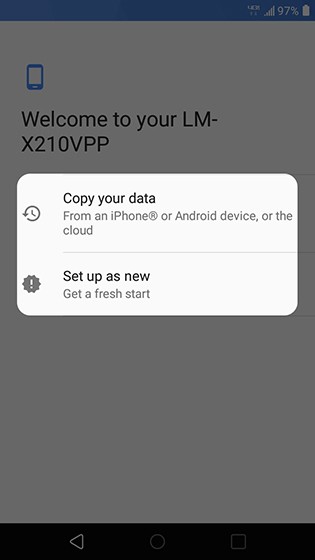 From the 'Welcome' screen, choose Copy your data or Set up as new. If choosing to copy data, sign in info for backup accounts may be required. 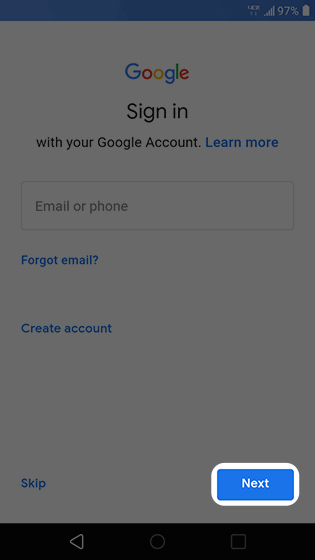 From the 'Google Sign in' screen, add or create a Google™ account then tap Next. 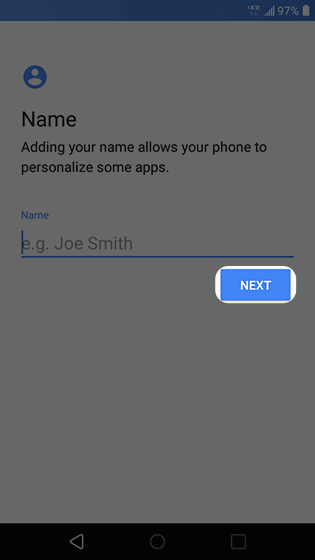 Enter a name for your device then tap Next. 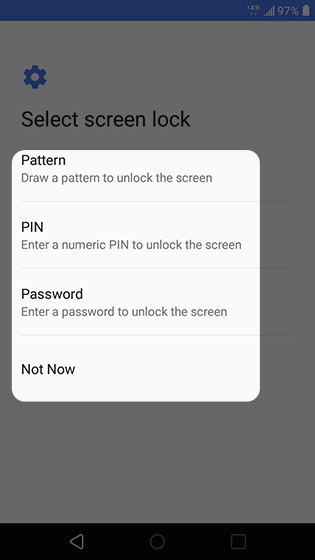 From the 'Select screen lock' screen tap an option. 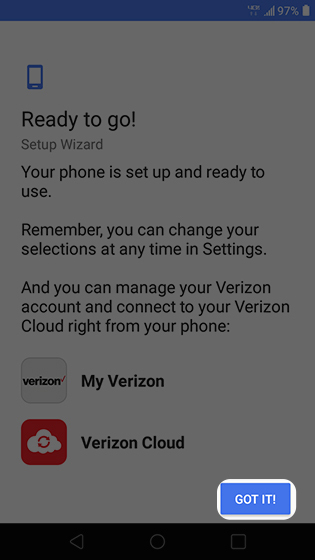 If you choose 'Not Now', you can set up a screen lock after setup is complete. 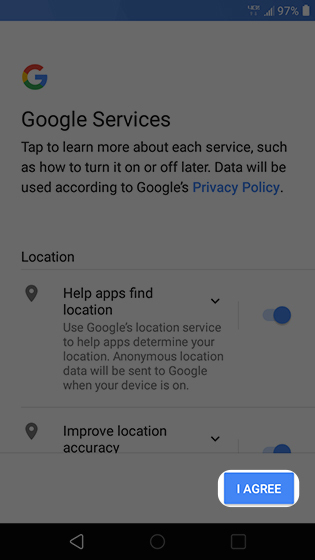 Tap to learn more about each option; options are enabled by default. 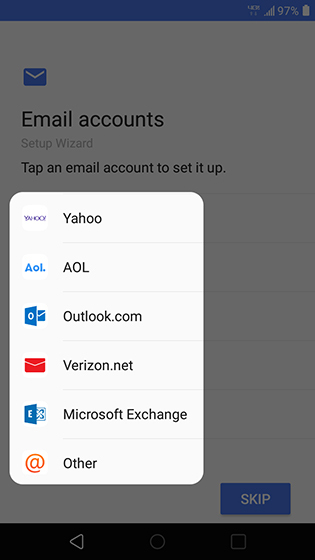 From the 'Email accounts' screen, select an email account type then enter your sign-in info. From the 'Ready to go' screen, review the info then tap GOT IT! If you'd like additional support, check out this Getting Started With a New Smartphone video.